Rawley Cooper first appeared in Lorraine Heath�s Texas Trilogy series as a boy who knew what it was to suffer. Now, in TEXAS LEGACY, Rawley is a grown man coming back home and reuniting with the girl he left behind. In the earlier series, Rawley�s story made readers shed a few tears, root for him, and hope he�d find happiness in his future. 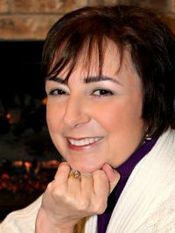 Lorraine Heath tells a story of young love that evolves as the hero and heroine have grown and matured over the years. As satisfying as it is to see Rawley all grown up and getting a second chance with his first and only love, it�s great to see how his friendship with Faith heals and they get back that emotional bond they had when they were younger before taking their relationship to the next level. This hero and heroine find love with somebody they trust more than almost anybody else, after knowing betrayal and cruelty. I don�t know if Lorraine Heath plans on writing more stories about this second generation of the Leigh family, but her stories always have passion and great storytelling. Like a bolt out from the blue, did you feel it too? Stephanie Laurens is one of my favorite authors and I was thrilled when she decided to tell stories about the next generation of Cynsters. Of course, when it was revealed who the heroes for three of those books would be, I was even more delighted. Two heroes in that series and one from her Casebook of Barnaby Adair series were all men who were supporting characters in books she wrote years ago. Although only supporting characters, each man was fascinating or worthy of a second look. I don�t remember reading whether it was positive reader feedback or whether she just decided to give these characters a new lease on life for her own reasons, but I cheered anyway. Viscount Breckenridge was a character in the book THE IDEAL BRIDE. In THE IDEAL BRIDE, Timothy Danvers, Viscount Breckenridge has the reputation of a charming rake, but over the course of the story, Stephanie Laurens is able to throw a few details about himself and his background that make readers want to get to know him better. Thankfully, in VISCOUNT BRECKENRIDGE TO THE RESCUE, readers get that opportunity to get to know this character better and they like what they find. THE LADY CHOSEN is the first book in Stephanie Laurens� �Bastion Club� series, and it�s my favorite as well. The hero in THE LADY CHOSEN, Tristan Wemyss, Earl of Trentham, is akin to Dorothy Sayers� classic gentleman sleuth Lord Peter Wimsey, and the heroine � Leonora Carling � is the intelligent and strong-willed woman to match him. Jeremy Carling is Leonora�s younger brother and a budding academic like their father. By the time Jeremy appears again in the story IN PURSUIT OF ELIZA CYNSTER , readers get to see how Jeremy has matured. Although an academic, Jeremy proves to be equally as resourceful and brave as he and Eliza trudge across the country running from their pursuers. Out of all three heroes, my favorite is the one in LOVING ROSE: THE REDEMPTION OF MALCOLM SINCLAIR. I first read about Malcolm Sinclair in the Cynster book THE TASTE OF INNOCENCE. What started out seeming to be a run-of-the-mill generic villain turned into something much more. Although I usually adore the heroes in a Stephanie Laurens book, the one in THE TASTE OF INNOCENCE just didn�t do it for me, and so Malcolm Sinclair stole the show. While the hero was being pigheaded and insensitive when it came to the heroine, Malcolm Sinclair was revealing layers to his character that made me root for him a bit and shed a tear or two at his Professor Moriarty-like demise. This is what I long for in a romance novel � characters who surprise you with their hidden depths and capture your imagination. 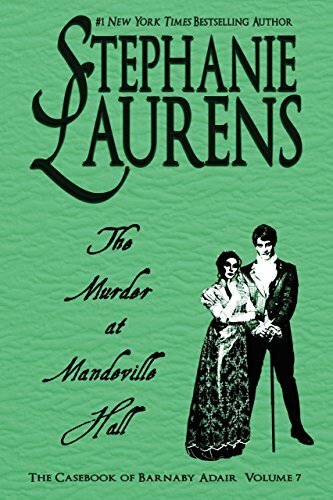 After recently reading Stephanie Laurens� newest Casebook of Barnaby Adair mystery, THE MURDER AT MANDEVILLE HALL, I found another supporting character I hope she will do more with in the future. At the end of the story, one character stood out as a sort of tragic gothic hero. Hooray! I look forward to reading Stephanie Laurens� next book. The hero and heroine in THE GREATEST LOVER EVER by Christina Brooke have a very tempestuous relationship with a tangled history. Their relationship is engrossing, but I admit that one of the highlights in this book is the complex villain Lord Pearce. While the hero is conflicted about his feelings for the heroine, Pearce schemes to get the fortune and the woman he wants. Whether Christina Brooke meant to ever give Lord Pearce a story of his own, his tortured words spoken to the hero in his moment of defeat have always held me captivated. The author shows some depth to the character in explaining his history and motivations for acting the villain. It�s revealed that perhaps Pearce behaved like a scoundrel because of his circumstances. It�s not a justification but something that makes you want to learn more about him and hope that he gets a second chance to be the hero instead of the villain. In THE STONE PRINCE by Gena Showalter, Jorlan comes from an alien world and finds his true love Katie. The villain in this book is Jorlan�s disfigured and disgruntled brother, and badass sorcerer, Percen. I�ve read so many stories with the standard issue evil wizard looking to bump off his goody-goody sibling. At first glance, Percen would be another in a long line of such villains��until Gena Showalter does something super cool. THE STONE PRINCE is told from alternating perspectives, including Percen�s. The secondary love story in THE STONE PRINCE ends up being Percen�s when he meets Heather. The love story between Percen and Heather is so compelling because he has the whole �Phantom of the Opera� vibe, and they can relate to each other since they both know what it�s like to feel like an outsider and inferior. By the end of THE STONE PRINCE, I was hoping for Percen and Heather to get a book of their own. Gena Showalter did continue their story�..in a way. The hero of THE PLEASURE SLAVE is the son of Percen and Heather. On the one hand, I�m happy to know that this couple thrived after getting together, but I also desperately wish there was a story about their life between when they jetted off to Percen�s home planet and their adult son found love. There just seems to be so much story left to tell � Heather, as a human, acclimating to an alien world and any possible conflicts that arise because of that culture clash, both characters working through their emotional baggage, and Percen�s being a wizard. All those things make for excellent storytelling. I live in hope that one day Gena Showalter will tell this story. I�m not particular. A novella will do. 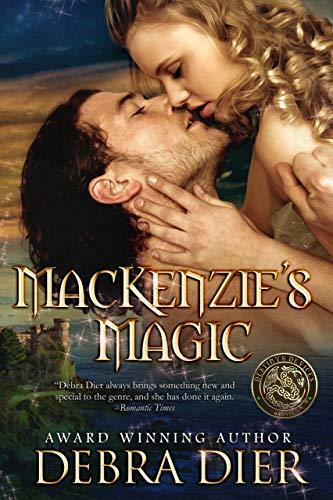 MACKENZIE�S MAGIC by Debra Dier always makes my list of top ten all-time favorite romances. The author once asked me exactly what it is that I like so much. It�s difficult to pinpoint. It is a character-driven thought- provoking tale of time travel, soul swapping, and it includes an enchanting romance. The dialogue is top-notch as well. At the opening of the book, Jane Eveleigh is a melancholy bride. Her new husband is devilishly handsome, wealthy, well-placed in society, and clever. However, Dominic Stanbridge is something of a rogue like Sebastian, Lord St. Vincent in Lisa Keypads� classic THE DEVIL IN WINTER. Jane finds herself blackmailed into marriage with a ruthless yet charming man she doesn�t love. Debra Dier could have gone so many ways with this story and that is perhaps one of the reasons I love it so much. There are several potential amazing stories along with the fabulous one that she actually decides to tell. Since I�m a sucker for razor sharp wit, I�m crazy about the verbal dueling Jane does � both with the man she married and the one who later takes his place and inhabits his body. That first scene or two between Jane and Dominic, before his soul is swapped out, drew me into this story because it says so much about both characters and there is a definite undercurrent of sexual tension even though Jane�s disdain for Dominic and his general coldness is evident. Even though I�m delighted with how the story progresses and ends, I often can�t help but wonder how the relationship would have developed between these two characters had fate and fae magic not intervened. Similarly, I always felt as though Debra Dier tossed out a few things to tease the reader that a future book focusing on Dominic�s fate would be forthcoming. Alas, it was not to be, but I still have hope. In honor of Lorraine Heath�s latest release, we are excited to offer wonderful giveaways: we have one print copy of Texas Destiny, Texas Glory, and Texas Splendor. There will be one winner per book! Be sure to comment below and tell us what side character you want to see get his or her own story by your favorite author! Open to US residents or US mailing addresses only. #1 New York Times -bestselling author Stephanie Laurens brings you a tale of unexpected romance that blossoms against the backdrop of dastardly murder. On discovering the lifeless body of an innocent ing�nue, a peer attending a country house party joins forces with the lady-amazon sent to fetch the victim safely home in a race to expose the murderer before Stokes, assisted by Barnaby and Penelope, is forced to allow the guests, murderer included, to decamp. Well-born rakehell and head of an ancient family, Alaric, Lord Carradale, has finally acknowledged reality and is preparing to find a bride. But loyalty to his childhood friend, Percy Mandeville, necessitates attending Percy�s annual house party, held at neighboring Mandeville Hall. Yet despite deploying his legendary languid charm, by the second evening of the week- long event, Alaric is bored and restless. Escaping from the soir�e and the Hall, Alaric decides that as soon as he�s free, he�ll hie to London and find the mild-mannered, biddable lady he believes will ensure a peaceful life. But the following morning, on walking through the Mandeville Hall shrubbery on his way to join the other guests, he comes upon the corpse of a young lady-guest. Constance Whittaker accepts that no gentleman will ever offer for her�she�s too old, too tall, too buxom, too headstrong�too much in myriad ways. Now acting as her grandfather�s agent, she arrives at Mandeville Hall to extricate her young cousin, Glynis, who unwisely accepted an invitation to the reputedly licentious house party. But Glynis cannot be found. A search is instituted. Venturing into the shrubbery, Constance discovers an outrageously handsome aristocrat crouched beside Glynis�s lifeless form. Unsurprisingly, Constance leaps to the obvious conclusion. Luckily, once the gentleman explains that he�d only just arrived, commonsense reasserts itself. More, as matters unfold and she and Carradale have to battle to get Glynis�s death properly investigated, Constance discovers Alaric to be a worthy ally. Yet even after Inspector Stokes of Scotland Yard arrives and takes charge of the case, along with his consultants, the Honorable Barnaby Adair and his wife, Penelope, the murderer�s identity remains shrouded in mystery, and learning why Glynis was killed�all in the few days before the house party�s guests will insist on leaving�tests the resolve of all concerned. Flung into each other�s company, fiercely independent though Constance is, unsusceptible though Alaric is, neither can deny the connection that grows between them. Can Alaric unearth the one fact that will point to the murderer before the villain rips from the world the lady Alaric now craves for his own? A perplexing and enthralling historical mystery! Beckenham�s brief engagement to Georgie taught him one thing- when it comes to a wife, he wants a woman who will do her duty and cause no trouble. When the fiery Georgie falls unexpectedly into his arms, Beckenham remembers just how lushly delectable she is. Suddenly, the idea of actually marrying Georgie is irresistible. In The Greatest Lover Ever, convincing her will take more than a simple proposal, however. Georgie and Beckenham finally have a second chance at love. But in a battle of wills, can passion conquer pride? Wonderful flawed, complex characters make this story a delight! Though Tristan was a rogue of the battlefield and the boudoir, making love with Julia was like nothing he'd ever known. Yet revealing his true heart would break the centuries-old spell and separate them forever. Forced to marry Dominic Stanbridge, the most notorious rake in London, Jane vows to thwart his attempts at seduction. But the morning after their wedding, Dominic speaks in a strange Scottish�accent, and claims to be Colin McKenzie, a Scottish earl that lived 300 years before. Never beliveing she could be bewitched, Jane now finds herself attracted to the man she swore to hate.